HTC launched the EVO 3D in Malaysia 2 weeks ago. The EVO 3D is the first QHD 3D display phone from HTC running on Android 2.3 Gingerbread which features a 4.3-inch display and a powerful 1.2 GHz QualcommSnapdragon dual-core processor. HTC EVO 3D also features dual 5 megapixel cameras, which can be used to capture both high-quality conventional and stunning 3D images and videos, opening up new frontiers for user-generated content, social networking and streaming video. This phone was launched in the US months ago and was one of the first smartphones using a dual-core processor and also a 3D display without the use of 3D glasses. You can get it from HTC retailers at the retail price of RM2199 or wait for the cheaper package from Digi. Press release and specifications as follows. Malaysia â€“ 23 August, 2011 â€“ HTC Corporation, a global leader in mobile innovation and design, today unveiled the HTC EVO 3D, taking the mobile multimedia experience to a new level, providing the ability to capture and not only view in 3D through a brilliant high-defintion display, but also share at fast speeds, offering consumers the ultimate glasses-free 3D experience. 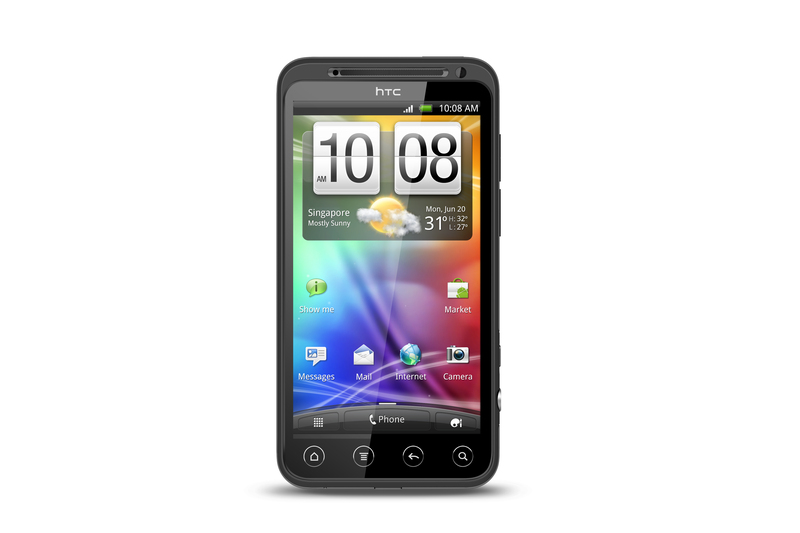 Built with the Gingerbread (2.3) version of Androidâ„¢, HTC EVO 3D features HTCâ€™s first qHD 3D 4.3-inch display and a powerful 1.2 GHz QualcommSnapdragon dual-core processor. HTC EVO 3D also features dual 5 megapixel cameras, which can be used to capture both high-quality conventional and stunning 3D images and videos, opening up new frontiers for user-generated content, social networking and streaming video. As 3D has become more sought-after in both movie theaters and family rooms, the ability to enjoy 3D on a wireless phone â€“ 3D glasses-free â€“ will change the way customers interact with their devices. According to The NPD Group’s 3D 360Â° Monitor (September 2010), consumers show a high degree of interest in working with personal media in 3D (with one-third saying they would like to take photos in 3D). For details, visit http://www.3dmarkettrends.com. Families can â€œreliveâ€ the excitement of their vacation and feel like they are there again. According to ABI Research (Dec. 20, 2010) mobile 3D devices will be driven by three key applications: creation of user-generated 3D content by integrated video and still cameras, playback of 3D content and 3D gaming.Â It also anticipates that mobile devices may turn out to be the most successful form factor towards bringing 3D technology into mainstream markets. With integrated 3D HD (720p) video capture and the latest version of the acclaimed HTC Sense experience, HTC EVO 3D makes it possible to become part of the action and then easily and seamlessly post high-quality video to YouTubeâ„¢ or Facebook, or share moments in real time over the Internet live. Its integrated DLNA (Digital Living Network Alliance) capability makes it fast and easy to share stored music, pictures and user-generated HD video wirelessly with other DLNA-certifiedÂ® home electronics, including HDTVs, monitors, digital cameras, printers and more. Using an HDMI cable (sold separately) makes it possible to also share user-created 3D video content via a 3D TV. Packing the HTC EVO 3D with a whole library of multimedia entertainment that will keep you at the edge of your seat for hours with not only a recently released action-packed blockbuster, The Green Hornetâ„¢ 3D Movie Â (limited stocks available) but also the latest instalments of chartbuster games, Spider-Man: Total Mayhem HD, Need for Speedâ„¢ SHIFT and Â The Simsâ„¢3. The HTC EVO 3D will be available at all authorized resellers at a suggested retail price of RM 2,199. There will also be a subsidized price package with Digi for the HTC EVO 3D.